Since 1970, Welsh Industrial Manufacturing Inc. has maintained an excellent reputation as a fully integrated machine shop as well as a highly respected supplier. Machining parts for the Steel, Railroad, Automotive, Aerospace, Pharmaceutical, Construction and OEM Agricultural Industries. Welsh is committed to quality. 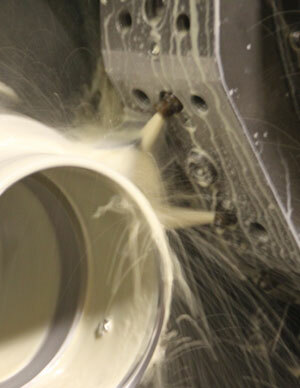 Currently operating from an 11,000 square foot facility in Stoney Creek, Ontario. We were the first machine shop in the area using NC and CNC equipment, and still continue to invest in our company with newer, more up-to-date machines and tooling. By continuously upgrading, we feel we can provide our customers with the best quality products the industry has to offer, with a faster turnaround time. Welsh is also completely committed to their employees. Our highly trained Machinists are an essential part of our team. They provide professional expertise and quality workmanship on all custom and precision items. Whether it is high volume, or a short production run of machined parts, our team at Welsh Industrial Manufacturing can offer Quality Parts at Competitive Prices.